777 offers 50s-style Vegas nostalgia to a niche group of players. This online casino is owned and operated by Cassava Enterprises of Gibraltar, under the umbrella of 888 Holdings PLC. It is the sister site of the premier online casino, 888casino. What makes 777 unique is its boutique selection of games, authentic look and feel, and nostalgia. Players with a preference for old school Vegas where mom-and-pop stores, the personal touch, and service with a smile reign supreme will find 777 up to the challenge. This online casino is fully licensed and regulated by multiple authorities, including The Great Britain Gambling Commission (UKGC), the Ireland Revenue Commissioners, and the Government of Gibraltar. As a responsible gaming advocate, 777 has a no-nonsense policy to underage gambling, is 18+ secure, 888+ responsible, and eCOGRA Safe and Fair. Players are privy to world-class entertainment at the click of a button. It all begins with a safe and secure online registration. Among the many benefits of playing at 777 are the slots & jackpots, Roulette, Live Casino, and card games. Within each broad category are many exciting titles for players to enjoy. The bonuses and promotional offers cater to new players and returning players alike. Top offers like Daily Delights, hot promos, VIP offers, and Live Casino promos are readily available. As far as banking options are concerned, 777 is well-stocked on a wide range of secure banking options. Banking methods are tailored to geographic regions, ensuring rapid, cost-effective, and secure money transfers. Slots & Jackpots – Irish Riches, Spartacus Gladiator of Rome, A Nightmare on Elm Street, Treasure Fair, Diamonds Delight, Titanic, The Big Lebowski, Under Construction Slot, Thai Flower Slot, Leprechaun’s Luck, Jack Hammer Slot, Victorious Slot, Elvis, and Cleopatra. Roulette games – multiple variants of roulette are currently available including French Roulette with a house edge as low as 1.35% (La Partage and En Prison), European Roulette with a house edge of 2.70%, American Roulette with a house edge of 5.26%, and a house favourite, Low Stakes Roulette. These roulette variants, and several others are available to players in a demo-play mode, or a real money mode. Card games – these include Baccarat, Triple Card Poker, American Blackjack, Multihand Blackjack, and other variants. Card games have a definite skill-based element, particularly Blackjack, where players are tasked with beating the dealer’s hand total without exceeding 21. Live Casino games – these include authentic casino dealers (croupiers) at real tables via live streaming WebCam. Live Casino games include Dream Catcher, Live 3 Card Poker, Live Roulette, Live Baccarat, The Elite Lounge, Live Casino Hold’em, and Live Blackjack. Minimum bets start off low, and the maximums are high enough to satisfy even the most discerning high roller. Live games are only available for real money at 777. Multiple software providers power the games at 777, including NetEnt, Evolution Gaming, NetEnt Live, Random Logic (Dragonfish), Cryptologic, Ash Gaming, IGT, and Barcrest. That multiple software providers are on board ensures the most comprehensive coverage of high-quality games and mega-money jackpots for players. 777 is big on bonuses and promotions. As a new player, you get to enjoy a generous €200 welcome bonus by simply using the following bonus code: WELCOME777. Other options include up to €1500 in FreePlay during your first week, over the course of your first 5 deposits. As a newbie, an attractive offer is the 77 Free Spins – no deposit required promo. Of course, there are plenty of other promotional offers available to players at 777. These include the Daily Delights. Jackpot Marathon Monday, Twilight Tuesday, Raffle Wednesday, Time Travel Thursday, Cashback Friday, Take 2 Saturday, and Sunday Surprise are packed with rewarding offers for players. These include free spins, cashback deals, comp points, and surprises. Live casino fans are also treated to a lavish selection of offers including 777 Live Casino Roulette with a €77 Bonus, and 777 Live Casino Blackjack where you can double winnings daily. VIPs are in luck. 777 is part of the illustrious 888 VIP Casino Club. This means you get to enjoy the finest VIP benefits such as personal account managers, exclusive access to bonuses and promotions, tailored betting, and plenty of cool gifts. 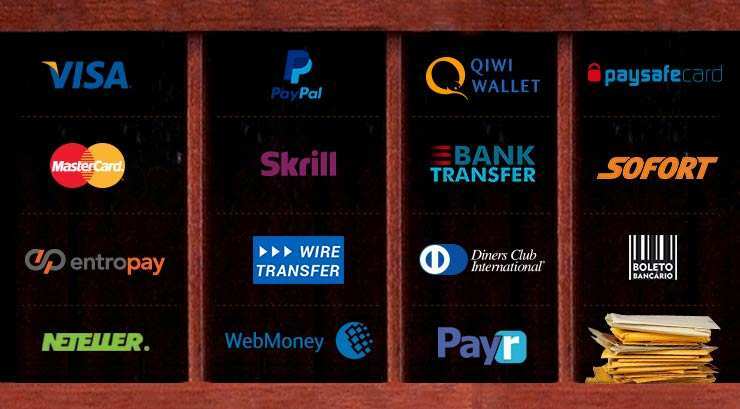 Boleto, Sofort, paysafecard, Qiwi wallet, bank transfer, Diners Club International, Payr, PayPal, Skrill, wire transfer, WebMoney, Neteller, Entropay, MasterCard, and Visa. Other options include Neteller, Postepay, WebMoney, EPS, instant banking powered by Citadel, MultiBanco, Yandex and more. 777 does not charge fees on deposits, although you may want to double check with your payment provider to verify fees or commissions if any. For withdrawals, there are fewer options available, however there are more than enough to keep even the most discerning player happy. Visa, Maestro, MasterCard, Skrill, Neteller, PayPal, Entropay card, wire transfer, WebMoney, and iDebit options are available. The typical withdrawal time can take anywhere from 2-3 days up to 10 days with a Maestro debit card or wire transfer service. All withdrawals are safe and secure, and players needn’t worry about the integrity of their accounts or personal information. Telephone – +44-203-876-87094 English; +44-203-876-8710 for German; +44-203-876-8709 for Swedish. Additional support is available through the getting started section where you will find information on PC issues, registration, mobile, and other options. 777 is active on Facebook, YouTube, and G plus, and the community is always ready to lend a hand to players.